Muay Thai celebrity Yodsanklai Fairtex took on K-1 kickboxing legend Andy Souwer for the second time this past Sunday (Mar. 31) in Tokyo, Japan. Facing off in “The Land of the Rising Sun” the pair was featured on the card billed as “ONE: A New Era”. The first encounter between Yodsanklai and Souwer was held as many as eleven years ago in Almere, the Netherlands. Back then the Dutch kickboxer took the win by a unanimous decision, yet an extra round was required. The rematch was set at catchweight with the limit of 72 kg. The bout proceeded under ONE Super Series kickboxing rules with the pair battling out in the cage wearing MMA gloves, traditional for ONE Championship. The scheduled for three rounds contest ended before the final bell. 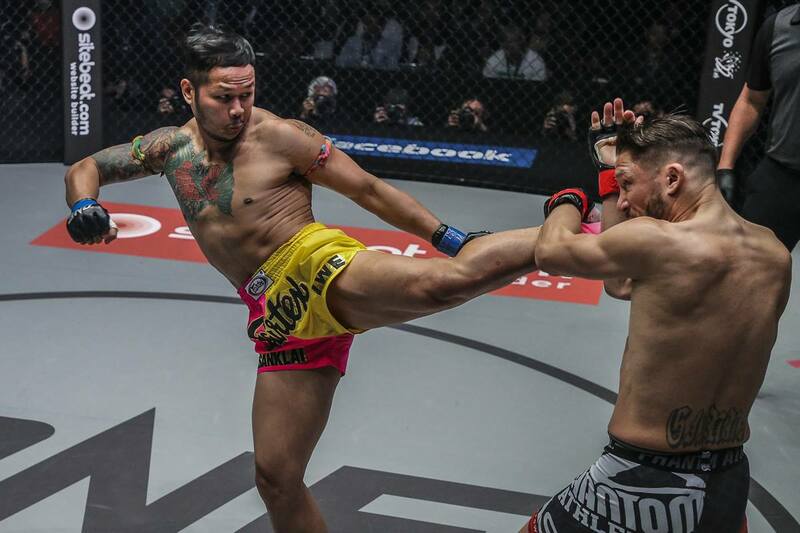 Controlling the center of the cage, the Thai fighter continuously pressured his opponent, unleashing left body kick followed by a series of strikes. The Dutch kickboxer moved around escaping the heat, and countered with leg kicks and punches. Yodsanklai tagged Souwer early in the first round with right hand. The latter received an eight count and the bout resumed. In the second round the winner of “The Contender Asia” dropped the two time K-1 World MAX champion with left hand. The famed Japanese referee Atsushi Onari opened the count and, reaching ten, waved the bout off. Yet, “Souwer Power” got back on his feet and seemed appealing the decision. The official result pronounced in favor of Yodsanklai Fairtex proclaimed “The Hero” as the winner by knockout at 0:51 minutes of round 2. In the main event of ONE: New Era Shinya Aoki submitted Eduard Folayang in the first round and became a new lightweight champion.